Teeth loss, gum disease and injury are among the main causes for bone defects or bone tissue loss. Over time this can have negative implications on your overall oral health and the stability of the rest of your teeth. Bone grafts can be an easy and quick solution for your problem. At Bayview Village Dental Specialists, Dr. Edy Braun performs bone grafts and procedures to enhance the support around failing teeth, or more commonly to prepare your jawbone to accept dental implants. After your oral examination and assessment with Dr. Braun, he’ll explain all your options and take you through all the details of the bone graft procedure, until you feel completely comfortable with it. He’ll also explain how the different bone types have different healing periods and that it’s also depending on the amount of bone tissue being grafted, so based on what he sees in your case he’ll be able to tell you what to expect after your procedure. 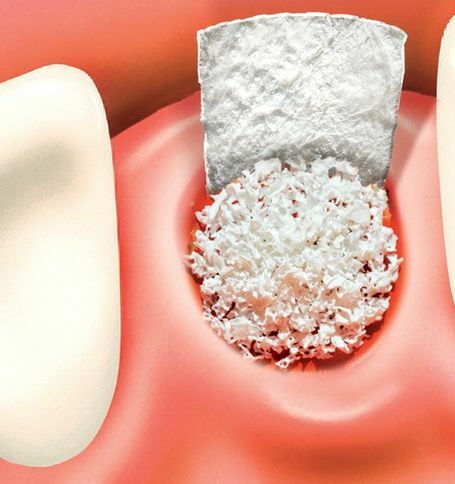 However, generally speaking, bone grafting is a minor dental surgery that only takes minutes (occasionally, in severe cases it may take up to an hour) and patients can resume their daily activities right after it. Although it is a small procedure, which only requires local anaesthesia, we understand if you’re too nervous or afraid. For patients with extreme anxiety we do offer sedation dentistry to make you feel more relaxed and comfortable.